Democratic governors of Washington, Oregon and Hawaii pledged Monday that if the Trump administration sticks with its proposed Title X family planning rules that include a ban on Planned Parenthood, their states will forgo their share of the nearly $290 billion that the federal government pays out. These statements could mean a loss of nearly $10 million each year in grants to family planning clinics should HHS finalize its proposed Title X rule without changes. New York Gov. Andrew Cuomo sent a letter to HHS Secretary Alex Azar that didn't explicitly say the state will deny federal funds, but concluded with: "If the rules are enacted as proposed, it will be impossible for New York to continue its comprehensive Title X program." New York receives nearly $14 million each year in federal family planning funds. State family planning programs also get funding through additional public health grants, Medicaid and some private insurance. The proposed rule change for Title X, unveiled in May and similar to Reagan-era regulations for the program, effectively bars Planned Parenthood from the federal family planning funds through a provision that excludes any abortion provider from the network. The proposed rule would also bar abortion referrals, although Title X grantee clinics could still offer a list of "licensed, qualified, comprehensive health service providers" that could include abortion care to a woman who has decided on an abortion and asks for recommendations. Inslee and more than a dozen other Democratic governors vowed to sue the administration over the rule, should its current provisions be finalized. But Monday's statement went a step further. "If the Trump gag rule is finalized as written, and cannot be blocked in court, we would be left with no choice but to refuse to participate in an unethical Title X program," Inslee said in a statement after he toured a new Planned Parenthood clinic in Spokane. "We will continue to work closely with our attorney general, the state Legislature and state health agencies to stop this rule from harming millions of women who, like everyone, have a right to receive basic healthcare without interference." Washington, where the health department receives and disburses the federal grant money to 72 clinics, health centers and other sites, received nearly $4 million under Title X in 2017. Inslee and Washington state officials have been mulling this move for months according to Casey Katims, an advisor to Inslee. "This is actually something we have been weighing since the rule was first proposed," Katims said. "We've had serious concerns from the beginning about the damaging consequences for women and providers in Washington if the gag rule were finalized and the Title X program were weaponized." Oregon's Democratic Gov. Kate Brown issued a statement and tweeted that she would "withdraw our state's participation from an unethical, ineffective Title X program that reduces access to essential preventive health services" if the rules go through. Oregon receives nearly $3 million each year in federal funds that support 97 clinics and other health centers. The Trump administration's Title X policies triggered litigation even before the release of the proposed rule. 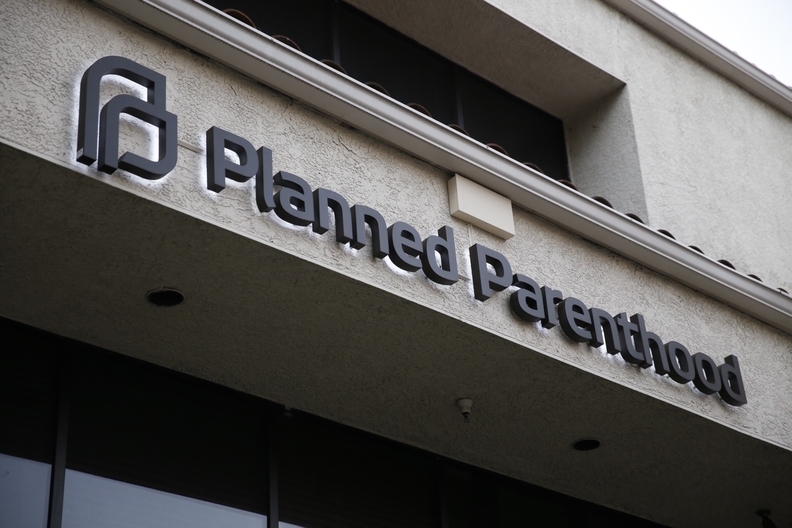 In early May, Planned Parenthood affiliates and the American Civil Liberties Union sued HHS over changed funding criteria that shifted focus away from contraception. The revised funding announcement invited clinics that offer contraceptive alternatives like natural family planning to apply. The new criteria also pushes family participation, a provision that has particularly raised concern from providers who say it undermines patient-doctor confidentiality. But this litigation is in limbo, after a federal judge in Washington, D.C., tossed the complaint. Groups have not yet sued the administration over the proposed rule, but the comment period ends Tuesday. At least one Republican governor has joined blue state governors in voicing disapproval over the proposed rule. GOP Gov. Charlie Baker of Massachusetts last week sent a letter to HHS officials in which he said he "expressed concerns that some of the proposals that are being made by the administration would limit or significantly hinder or in some cases deny women access to Title X family planning services, prenatal services and the like," according to The Republican.